Do you struggle when the clocks change? Even though it’s just an hour’s difference, we can sometimes really feel it, especially when we spring forwards! 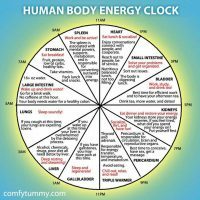 Did you know each of our organs have a different time of the day when they are at their peak energy? Travelling to different time zones, general anaesthetic and changing the clocks can upset this balance leaving us disconnected and ‘jet-lagged’. Join Jen on Sunday 31st March at 11am BST to reset our body clock through the magic combination of Yoga Flow and Traditional Chinese Medicine, as we change the clocks this spring. Revive and restore your body and mind!